All changes made to the data filter setting are captured in the data filter log. 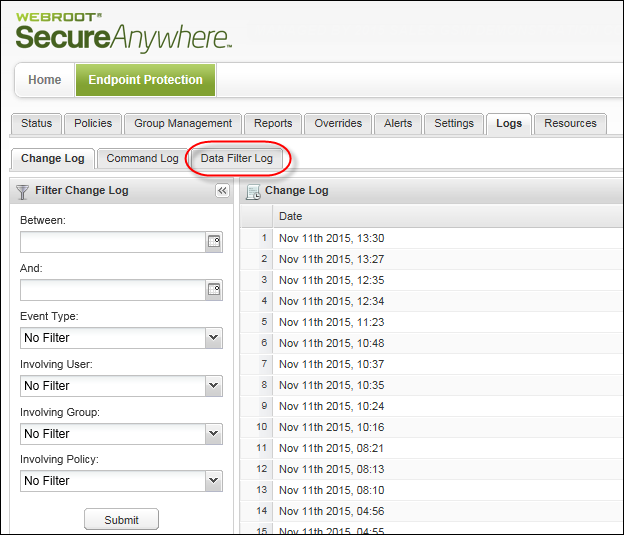 Log in to the Endpoint Protection console. 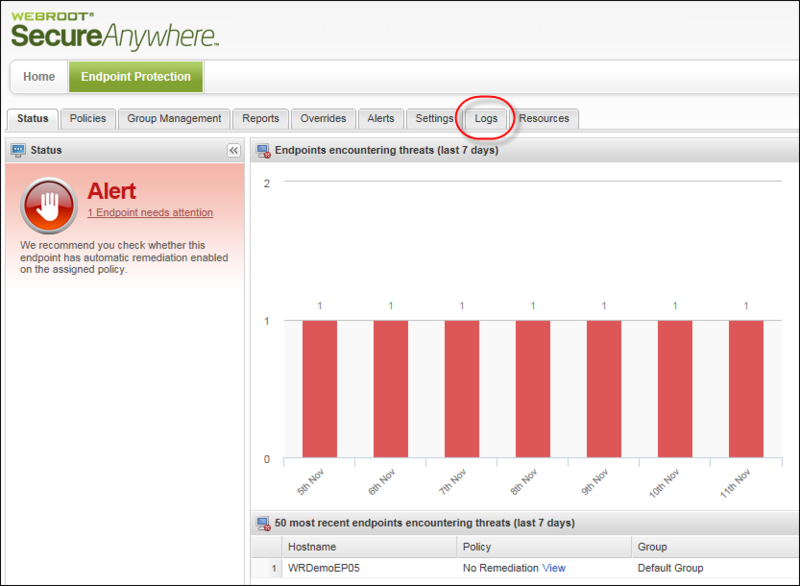 The Endpoint Protection panel displays with the Status tab active. The Logs panel displays with the Change Log tab active. Click the Data Filter Log tab. Setting — The filter option that was selected. Date — The date the change was made.